As parents, we want to set a good example for our kids, and show them how to live a healthy life. Kid friendly gyms help make it easier for mom and dad to include the kids and establish the importance of a healthy family fitness routine, while also getting their own fitness needs met as well. 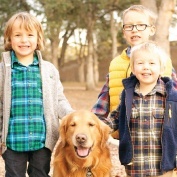 California Family Fitness makes it easy for you to include the kids in your devotion to fitness by providing great Sacramento gyms with the best childcare programs and youth fitness available. 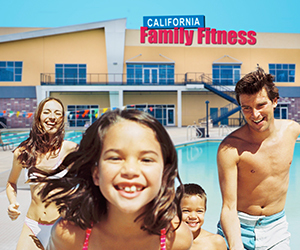 Here’s how to get your family involved and explore the fun things for kids to do at the gym. Indoor Rock Climbing is a great sport for kids that also helps teach problem solving and coordination while building strength in a safe, fun environment. And the best part is, they’ll be so busy having fun they’ll have no idea it’s good for them! Rock climbing walls at Cal Fit range from a small rotating wall that smaller children can tackle, to a larger wall that older children can harness up and try. With constant supervision and state-of-the-art safety equipment in place, kids can test their physical and mental boundaries in a safe environment with reduced consequences and magnified fun. From the Sacramento River, to Folsom Lake and beyond, there are no shortage of family friendly boating and swimming destinations in the Sacramento Valley. Learning to swim isn’t just the safe bet, it’s fun too! Private and group swimming lessons are available at Cal Fit, and are geared at improving stroke, efficiency, and technique, while helping teach little swimmers how to love and respect the water for life. Bring your next party to the gym and put a sports theme to it. Kids of all ages can rumble and play and you can leave all the set up (and clean up — yay!) to the friendly Cal Fit staff. We cover everything from napkins to munchables, and the party kids get to run wild playing their sport of choice, burning plenty of energy before they they get down to the celebratory treats.